Review Summary: The third release from Senses Fail doesn't disappoint as the guitars get heavier, the drumming gets faster and the lyrics hit a lot closer to home. Two years after their well-received sophomore release, Senses Fail puts together a great album. The guitars are heavy, the drumming is at its best and Buddy's lyrics touch on a much more personal note than "Let It Enfold You". finding out the good book was wrong" and "I won't kneel at your alter now that I know, It's a table for a magic show". This was the track that really caught my attention and made me want to hear the entire album. The second song, "Bonecrusher", is not one of my favorites but still deserves a listen. The lyrics touch on Buddy's experience with prescription drugs, another popular subject on the album. The chorus" (for lack of a better word) gets tiring with buddy singing "Drink up, drink up, drink up the loneliness". But the post-chorus" makes up for it with catchy lyrics and catchy singing that will have you annoying your friends for days. The next track, "Sick or Sane (Fifty for a Twenty)", is another song where the lyrics get a bit repetitive. But the guitar and drums make you forgive Buddy for the lack of change in lyrics. At about 1:20 in this song I hear something that makes me double take and check that my music player isn't messing with me. Is that what I think it is" Oh yes, it's a solo in a Senses Fail song. And not a bad one at that. Reminds me a lot of Avenged Sevenfold (maybe even a little too much) but if you're a fan of Senses Fail then you probably are a fan of Avenged Sevenfold as well. After the solo Buddy screams for the first real time in the record. It sounds a little forced but is well done. The song takes you out on an Avenged Sevenfold guitar riff and leaves you wanting more. The fourth song, "Can't Be Saved", from the first chord you're reminded of "Let it Enfold You". The chorus is hella catchy (yes I said 'hella') and forces you to shout along the words. Honestly sounds like a perfect song to get drunk to and sing along to with your friends. The next track, "Calling All Cars", is the first single off the album and you can't blame them. It's a little poppy but is really catchy. The first guitar riff of the song reminds me of Yellowcard, which frightened me, but quickly turn right back to Senses Fail. The lyrics are great. Every person can relate to this. BAM! Yeah, that’s how fast "Shark Attack", the sixth track on the album, comes at you. Like a swift kick in the balls, the guitar makes you jump and leaves you paralyzed for the rest of the song. The guitar is meaty and the drumming is superb. The verse leaves Buddy singing alone with the bass drum keeping up with each word. It's quite interesting and the first time I have heard this done, quite impressive really. The lyrics to this song are about Buddy's experience with psychologists (shrinks). The screaming in this song sound really forced but doesn't ruin the song. It's needed and goes with the song but could sound better. "Still Searching", the title track and seventh song on the record, is an excellent track. Once again deals with Buddy's prescription drugs and shrink experiences. Everything is great in this track. The screaming sounds much better on this and is probably the best example of the greatest improvement to this album, the lyrics being so close to Buddy's heart. I've heard this compared to "187", which happens to be my favorite song by Senses Fail, but I think with time it could take "187"'s place. "To All the Crowded Rooms" is a great way to come off the last track. After hearing Buddy talking about how he's lost control in the previous track he says a big thank you to all of the fans and friends who've kept him balanced. Great song and should be awesome to see them play live. The guitar once again reminds me of "Let it Enfold You". The ninth track, "Lost and Found", the beginning reminds me of the first album "From the Depths of Dreams" but the guitar between the verses reminds me of a riff I heard on the last blink-182 album. Not a bad song just doesn't stick out as much as the rest. A good track to slow the album down though. "Everyday is a Struggle" is a good song. Doesn't really leave a memorable place like the other songs on the album but it still deserves a listen or two. The chorus is really good but that's all that really sticks out on this track. Really catchy though. "All the Best Cowboys Have Daddy Issues" is a great song title to a great song. The beginning sounds completely different from Senses Fail. It sounds like a Nine Inch Nails sort of electro-metal riff. Really personal song dealing with Buddy's family issues. The end of the song sings about Buddy committing suicide by jumping off a building, which continues to the last track. "Negative Space" is an instrumental but not a bad one at all. Reminds me a lot of a hidden track at the very end of Fear Before the March of Flames' "Art Damage". But I loved that track so I also really enjoyed this one. Not sure how most listeners will feel about it but I thought it was well done and well placed considering the last part of the previous track and the basis of the next song. "The Priest and the Matador" is the last track on the album and is a great way to end. This song is about Buddy jumping off the building and what happens during and after the fall. The chorus gets repititive but is a great song nonetheless. A much slower song compared to the rest of the album but does pick in the middle. Has another solo that is very non-Senses Fail but doesn't ruin the song and is well done in my opinion. A great album by a great band. This is a must buy for Senses Fail fans and I think will really push their careers forward. The lyrics are some of the most personal I've heard from any band and the guitars and drumming have improved a lot on anything Senses Fail has put out in the past. Split these songs up into seperate paragraphs and your review will be fine. why did my review get deleted? Here we go. This is good stuff. Can't give a final verdict yet however. 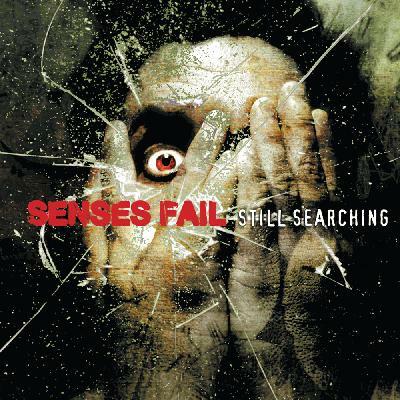 this is most definitely my favorite senses fail album. they're progressing into metal territory, which i love, im excited to see where this new direction takes them. buddy's scream has improved and i actually like it now. is there any way to edit the ratings you gave an album? Can't Be Saved, Calling All Cars, and Priest and the Matador rock hard. Really? I don't hear any similarity. i Still love this album... i dono "why you cunts just dont get it..."
Wow I totally just saw the ending of Cant be Saved for the first time today. Wow!!!!! I never understood the purpose of the video until the ending and reading some of the more literate comments. That video was filmed at my high school. Always been a fan of this band. Great album.